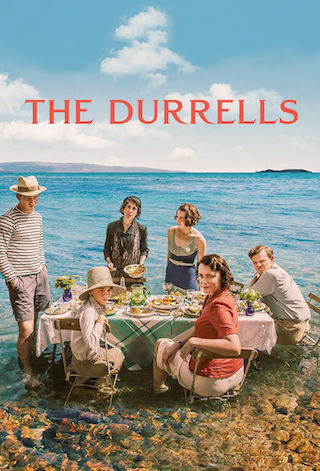 The Durrells is a British 60 minute scripted family television series, which kicked off on April 3, 2016, on ITV and is broadcast every Sunday at 20:00. The show is currently in its 4th season. ITV has officially confirmed the renewal of The Durrells for Season 5. The exact release date is yet to be announced so far. Sign up to track it down. The Durrells is based upon Gerald Durrell's classic trilogy of Corfu memoirs including the much loved My Family and Other Animals'. Set in 1935, this timeless drama is full of warmth, humour and fun. ITV returns to the blue skies of Corfu for more animal antics next month as filming begins on what has been confirmed to be the final series of much-loved drama, The Durrells. Based on conservationist and author Gerald Durrell’s trilogy of books about his family’s time in Corfu during the 1930s, the fourth series will once again be written by BAFTA award nominee Simon Nye (Men Behaving Badly, Reggie Perrin) and filmed on the beautiful Greek island. Following the events of the last series, the future is looking bright for the Durrells, with all of the family channelling their heartbreak in different ways. Choosing to keep herself busy, Louisa has opened the doors of the family villa as a guest house, but with Basil as their only paying guest, the business is still to find its feet and customers.